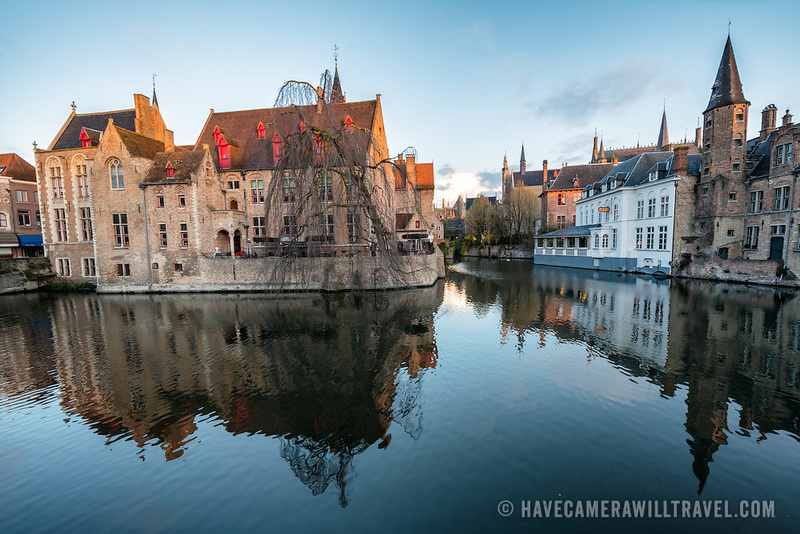 Sometimes called "The Venice of the North," the historic Flemish city of Bruges has canals running through the old town. Before the water access became silted up, Bruges was a major commercial port. The building at left of frame is the 15th century mayor's house, "Perez de Malvenda".